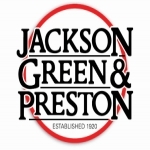 Founded in 1920, Jackson Green & Preston is Grimsby and Cleethorpes largest and best known local Estate Agency, with over 95 years experience in the property market and currently having 400 or so properties on the market through our agency. We are the only Estate Agent with offices in both Grimsby & Cleethorpes. In 2011, on the retirement of the Partners in Goudes Chartered Surveyors, we acquired their very successful Lettings and Management Department, reinforcing our position as one of Grimsby's premier Management Agents. In 2016, following the retirement of the principal of Bacons Property Management, we were again approached and offered the opportunity to further enhance our position as Grimsby's leading lettings specialist by acquiring Bacons Property Management. We have two offices, both situated in Town centre locations, each having excellent window displays. Well laid out and smartly furnished, the offices have a warm and welcoming atmosphere, and our friendly staff are always on hand to offer assistance and advice.